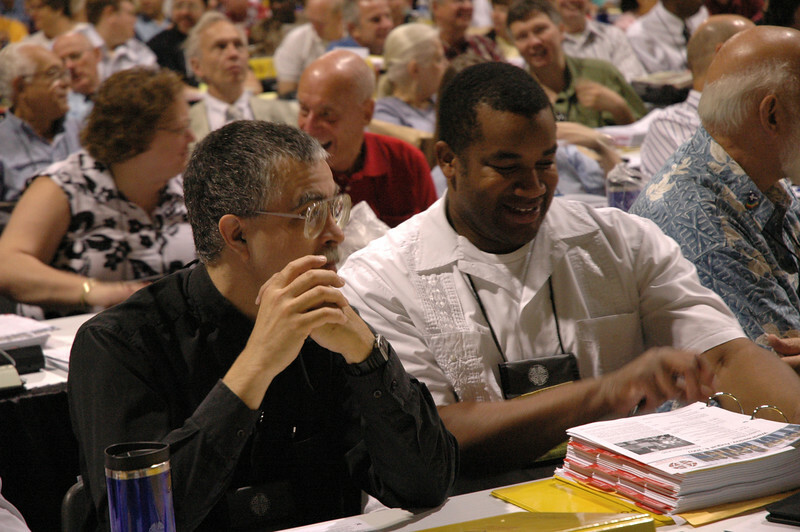 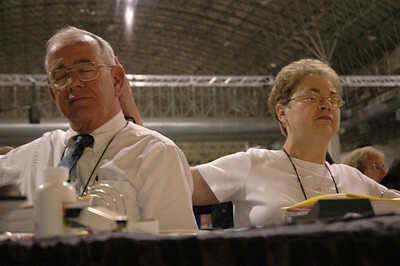 Daily photos of the ELCA churchwide assembly in Chicago, IL August 8, 2007. 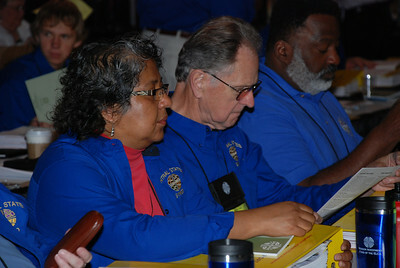 Plenary session four opens with morning prayer and hymns. 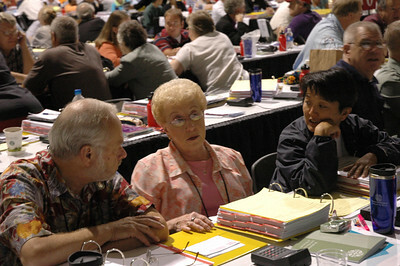 Voting members share with each other the evidence of Gods work, our hands in their own congregations. 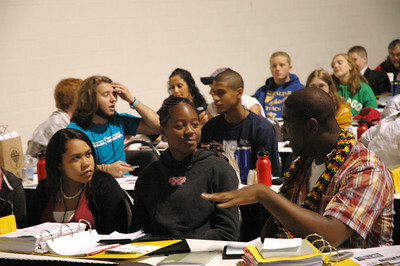 Members of the Youth Convocation discuss how they share their faith with others in their communities. 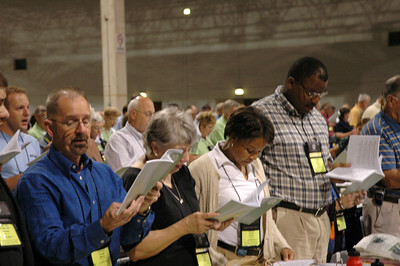 Voting members share what they are doing in their own congregations to become an anti-racist and multi-ethnic church. 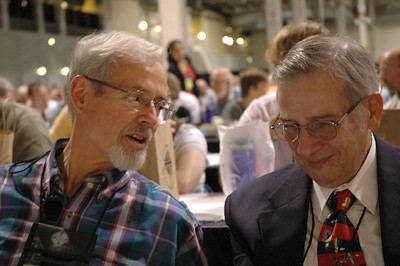 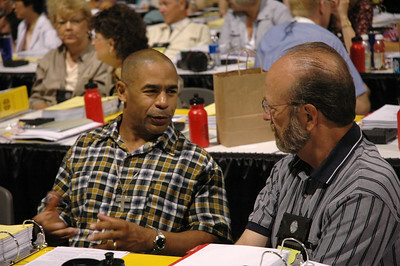 Reggie Smith (left) and the Rev. 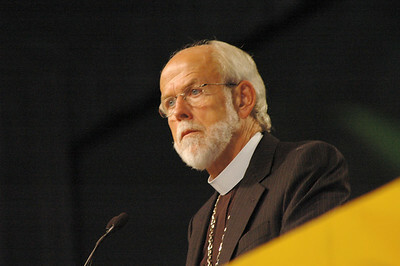 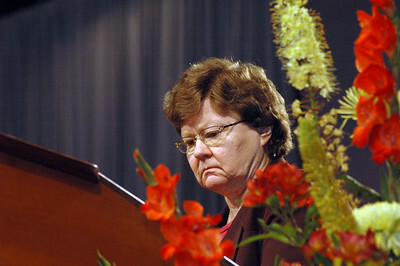 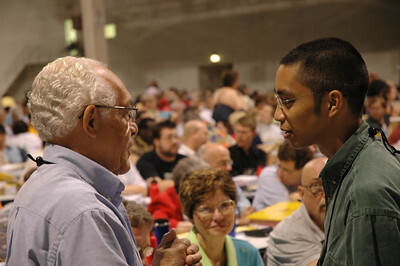 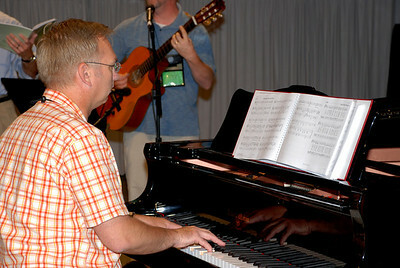 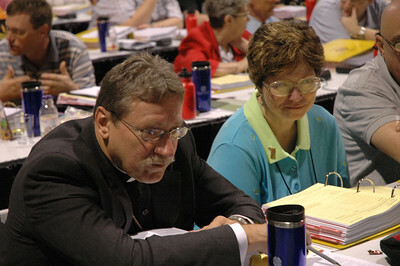 Karl Lunder, both of the Northeastern Minnesota Synod. 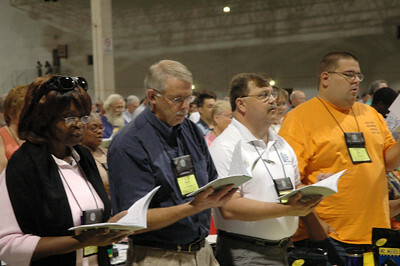 Members place their hands on the heads of others during the closing prayer. 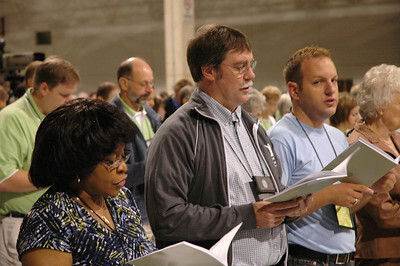 Plenary session four opens with prayer and hymn. 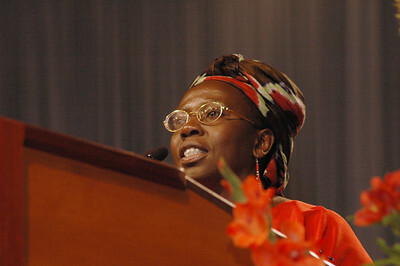 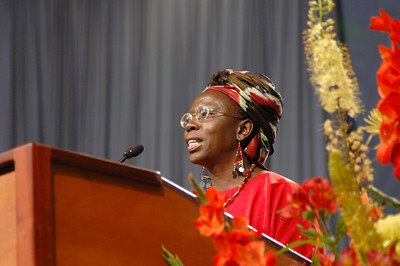 Keynote address: Dr. Musimbi Kanyoro, secretary general of World YWCA, Geneva, Switzerland, is a Kenyan advocate for women, children, and those with HIV/AIDS. 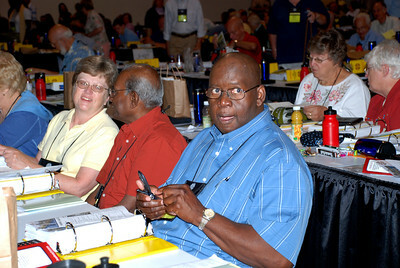 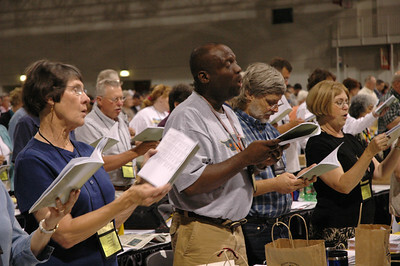 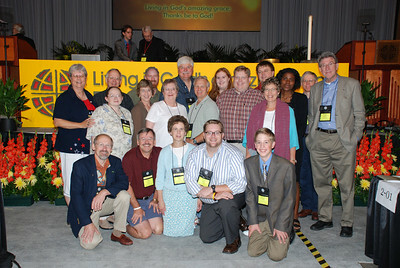 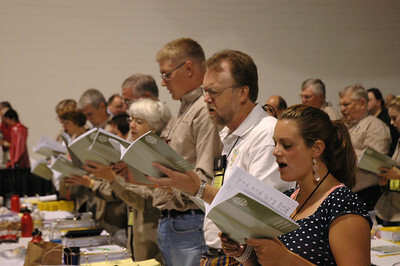 Members from the South Eastern Minnesota Synod at Churchwide Assembly. 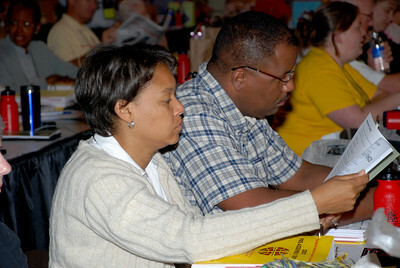 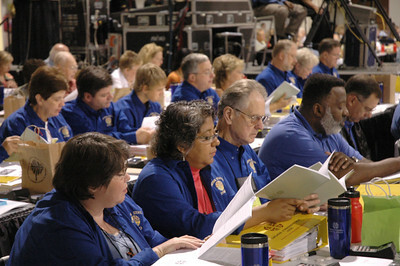 Voting Members going over material for Plenary session 4. 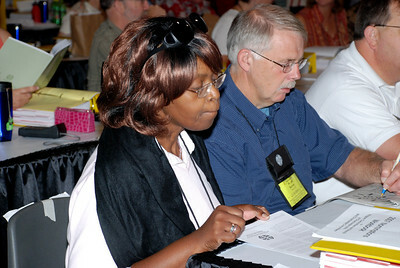 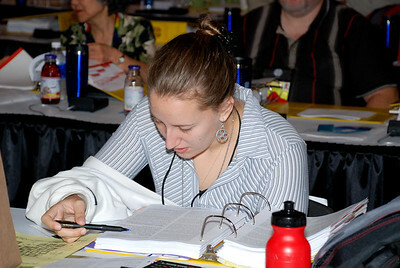 Voting Member going over material for Plenary session 4. 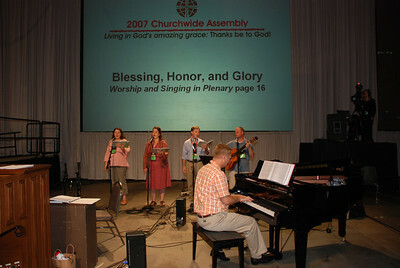 Assembly Musicians at opening of Plenary session 4 on Wednesday morning.